Do you like discover the landscape with your bike and you don’t know what to do for your holiday? 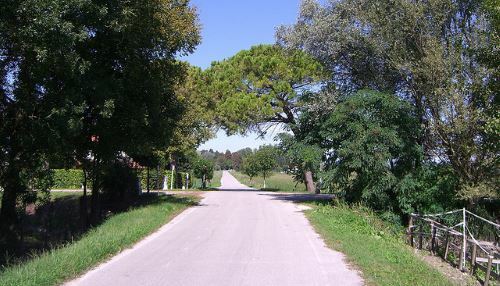 In Caorle bicycle itineraries are beautiful and you could visit our territory, our villages and obviously our stunning sea. Tour of Caorle around the centre, a visit of the cathedral, a walk along the “living rocks” to get to the church Our Lady of the Angel. Finally , a ride along the coast. Brussa and Valle Vecchia a interesting land between Caorle and Bibione. There are a lot of birds and you could see casoni, typical houses of fishermen. Ca’ Corniani is a beautiful village of 1700 century. There are a little nicely church and you could drink a glass of wine in the tavern Ca’ Corniani. 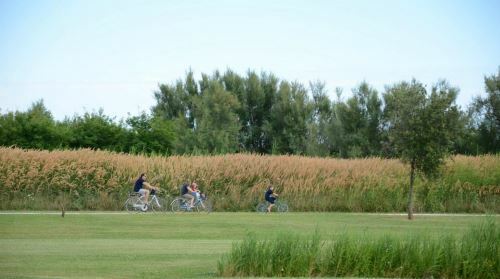 If you would like a relaxed holiday between sea and cycling Caorle ‘s right for you. What are you waiting for? Call us for booking your holiday in our villaggio!